Jack Astor's and I have been good friends for a very long time. Years ago I used to frequent the Jack Astor's at John and Richmond, in Toronto - at least 2-3 times a week. Sometimes to grab dinner, others just to have some cocktails with friends. Either way, I have always had a great time at Jack Astor's! 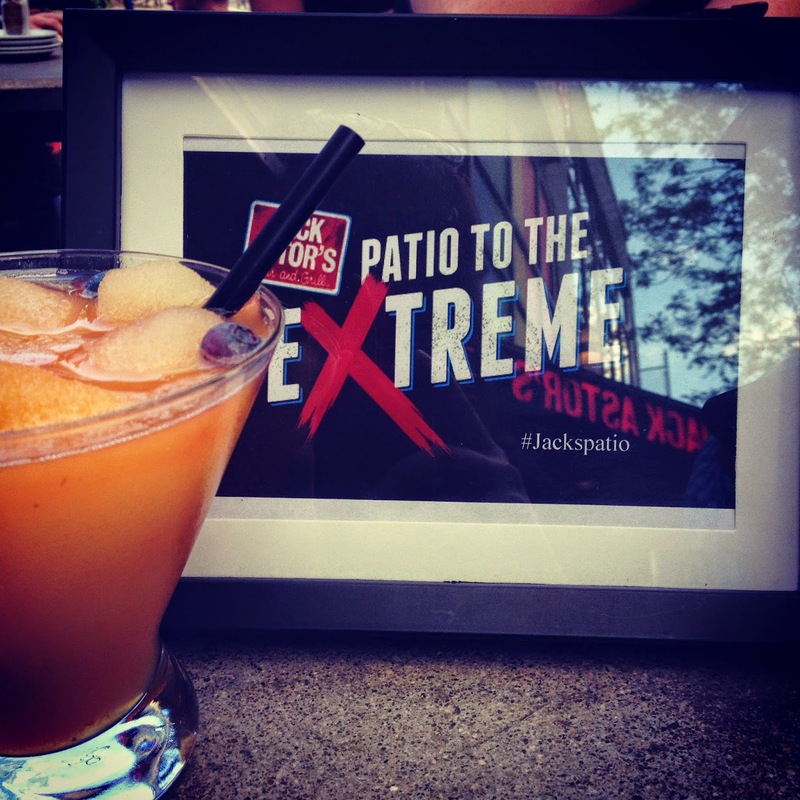 So when I was invited by Jack Astor's to taste some of their new (and old) menu items and launch their "Patio to the Extreme" promotion - it was a no brainer for me! Jack Astor's knows how much we love our (brief) summers, so they want to do whatever they can to help us enjoy every minute! They have their own branded sunscreen for those hot, sunny days spent on their patios. "What if it starts raining? ", you ask. Well, they have you covered (literally!) on that end as well with Jack Astor's PONCHOS! Oh, and did I mention that they also have drink specials for those brave enough to sit on the patio in the rain? Come on, we're not made of sugar - a little rain won't hurt us! Jack Astor's is making it VERY EASY for us to enjoy their patios! Ok, Enough - Feed Me! So, Jack Astor's had some new and old favourites to offer that evening. I swear, the food just didn't stop coming out from the kitchen! It was one plate of deliciousness after another! 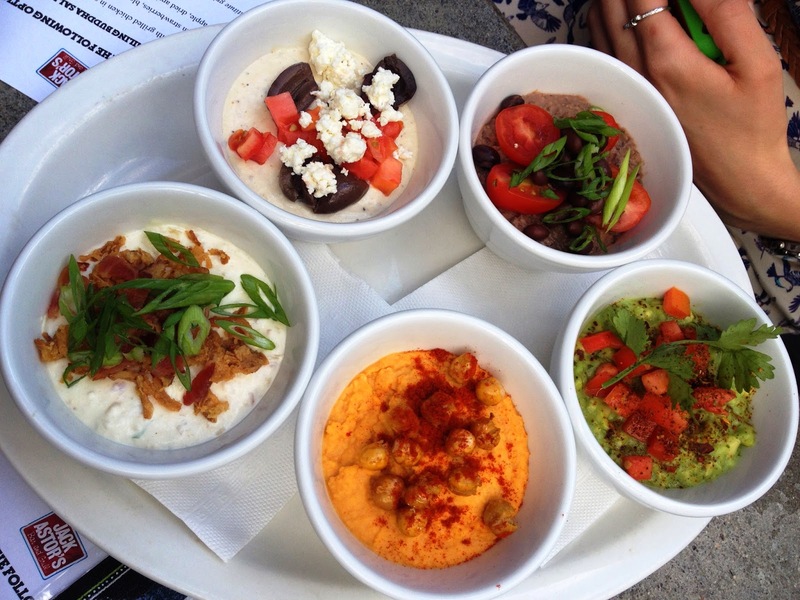 We started with a platter of five dips, meant for sharing. The dips included: Fiesta Guacamole, French Onion and Bacon, Sriracha Hummus, Mexican Black Bean and Baba Ghanoush and they were served with tortilla chips, pita chips and french fries. 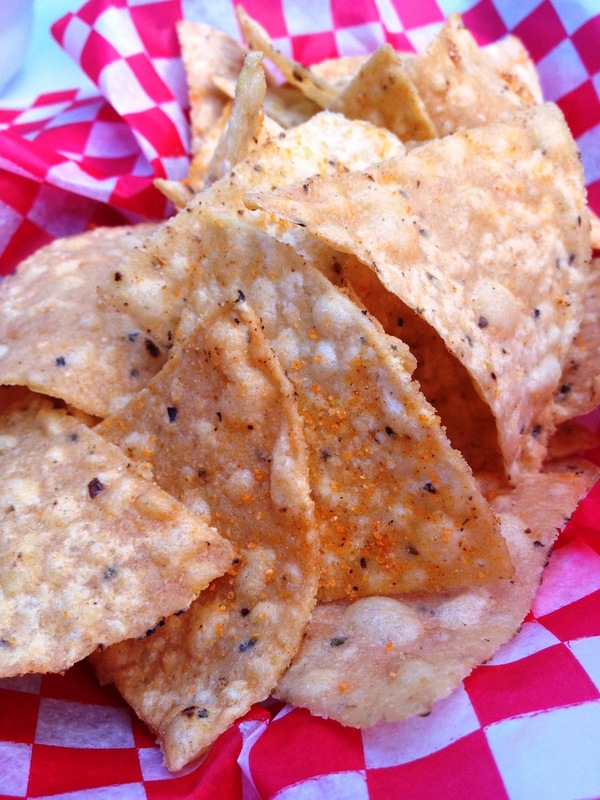 Platter of five dips, meant for sharing. They also surprised with an order of Chicken Bites that came with three different dipping sauces, a Korean BBQ, Pineapple Boss and Strawberry Rhubarb. 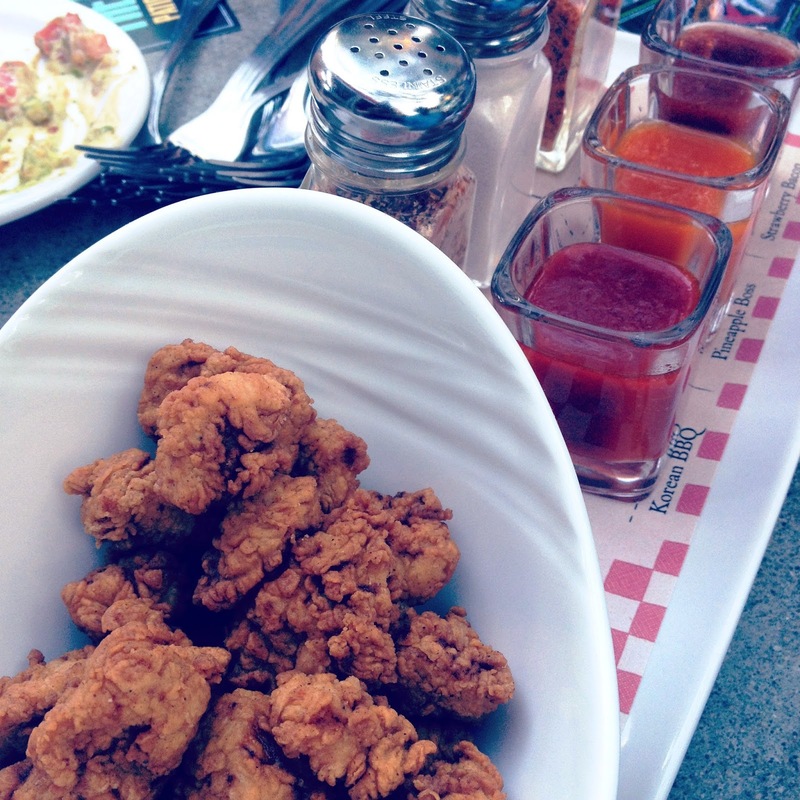 The chicken bites were also served with flavoured salts! Such a unique twist, and they added different flavour elements. After the appetizers, came the main courses. As per usual, Jack Astor's did not disappoint. We ordered the Asiago Chicken Bowties, Holy Smoke BBQ Burger, Shrimp Pad Thai. 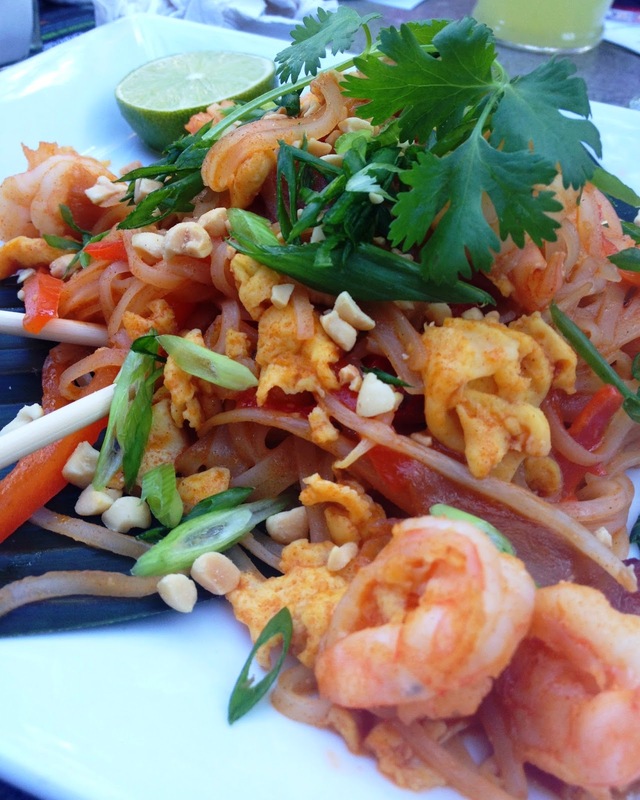 Everyone at the table was pleasantly surprised when trying the Pad Thai, as this is a dish one would not expect from Jack Astor's. 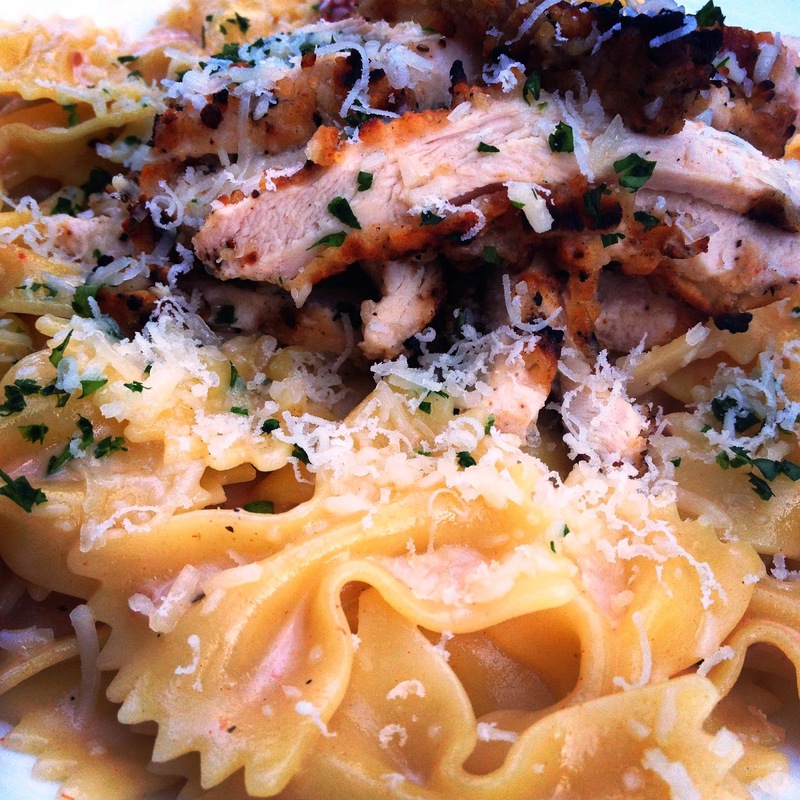 The Asiago Chicken Bowties is my favourite dish at Jack Astor's, I just love it. Years ago there was a different pasta dish available, with peppercorns in it. 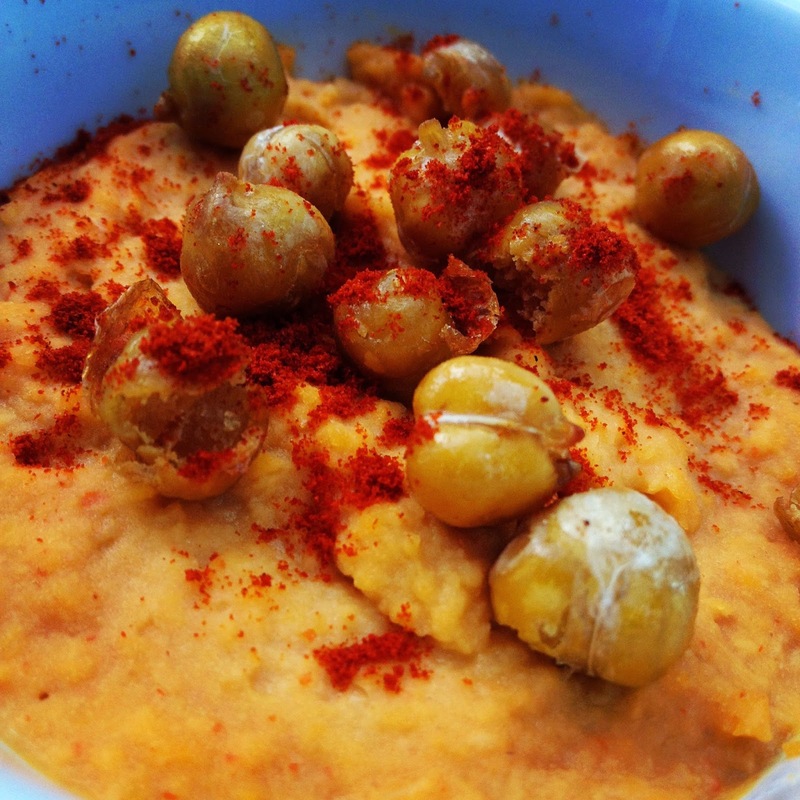 This used to be my go-to dish. When I moved to Las Vegas I craved it so badly I even tried recreating it...it didn't turn out that well! So when I came back for a visit (before moving back home), and I thought I was so cool not needing a menu to place my order...I was VERY disappointed that the dish had been taken off of the menu. But alas, I have a new favourite and it's just as delicious! So, please - don't remove this one Jack Astor's! Somehow, someway - we managed to save a little room for dessert. Me more so than anyone else at the table...DON'T JUDGE ME! Anyways, dessert came out and we were all impressed! 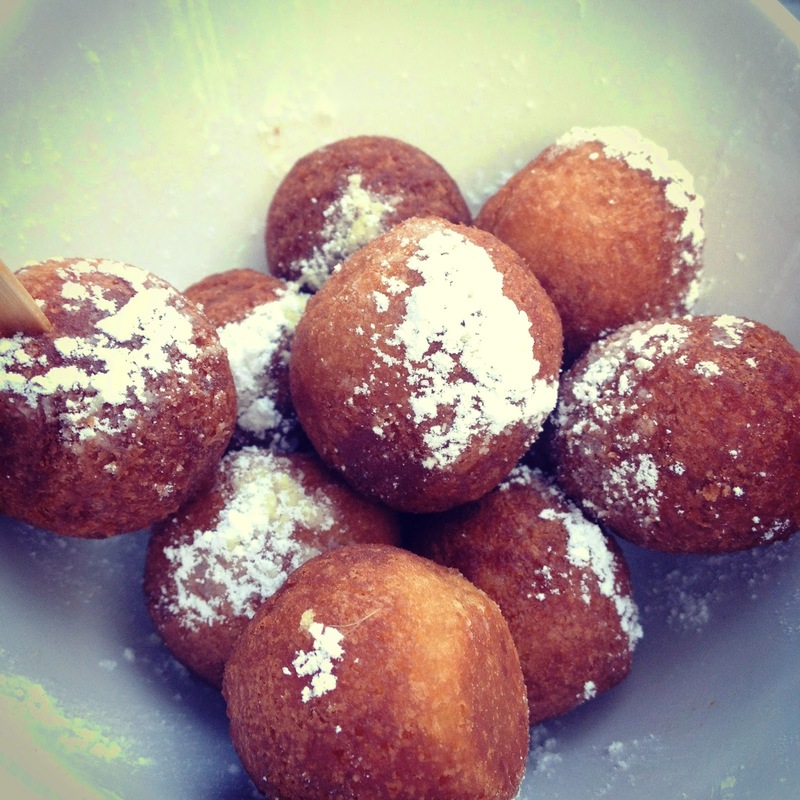 Donut Dippers with three dipping sauces. Personally - I was addicted to the Chocolate Bailey's dipping sauce! Jack Astor's is also launching a promotion, starting this weekend! The "Patio to the Extreme" promotion is like no other! 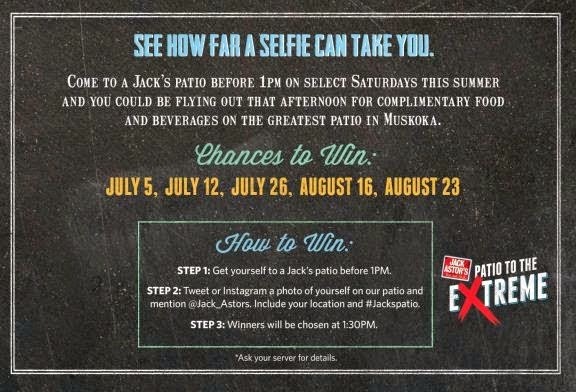 All you have to do is get on a Jack Astor's before 1pm on either July 5, July 12, July 26, August 16 or August 23 and snap a selfie onto either Twitter or Instagram, using the hashtag #Jackspatio. Don't forget to include your location and mention @Jack_Astors - and you could win a trip to Muskoka for you and your friends! I should also mention...you will be flown out THAT AFTERNOON on a pontoon plane for complimentary food and beverages on the greatest patio in Muskoka - Duke's Refresher! How amazing is that?? See JackAstors.com for more details. I Want to Help YOU Win! 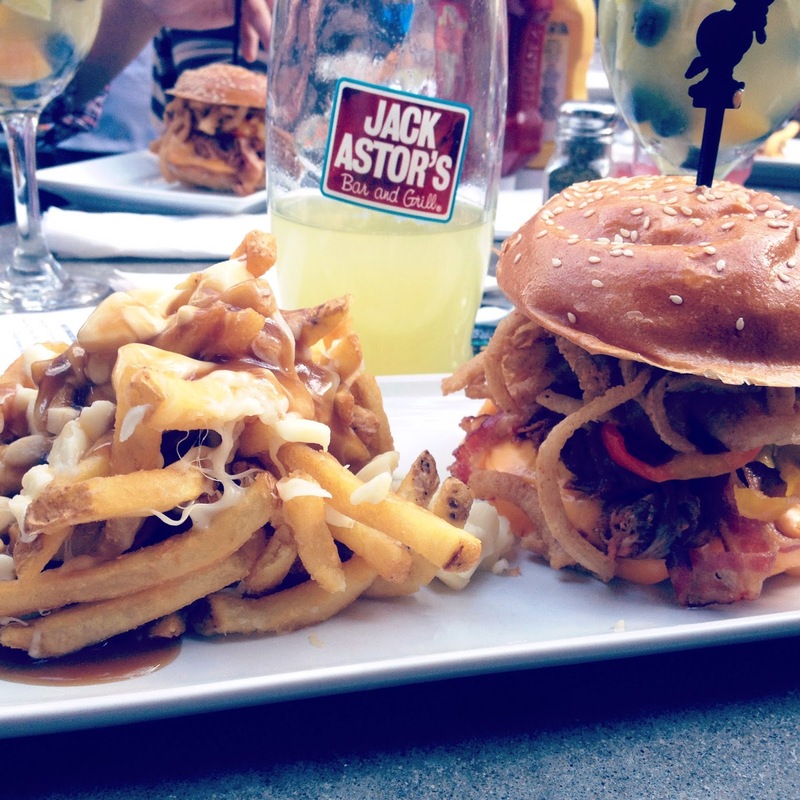 To help get you out onto a Jack Astor's patio, I'm giving away a $25 gift card! Enter below and a winner will be selected randomly on July 11, 2014! Disclaimer: Dinner and drinks were comped for our visit, however - as per usual, my views are entirely my own and I seriously am addicted to the Asiago Chicken Bowties.